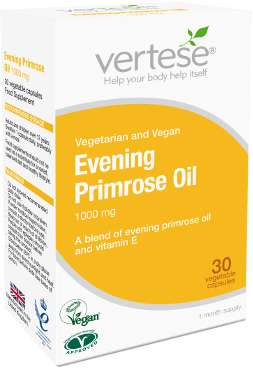 Optimise your skin and hormonal balance naturally, with Vertese® Evening Primrose Oil – a traditional favourite. Fats in the diet are often given a bad press but not all fats are bad news. 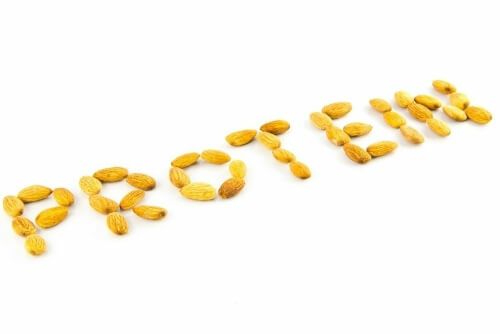 Some fats like omega 6 are needed for good health and are known as essential fats which means the body can’t make them so we have to get them through the diet. Omega 6 fat GLA is an essential fat which is present in some foods like blackcurrant, also hemp and borage which are not foods we regularly eat. If they haven’t made it into your shopping trolley yet, now you have a good reason to try them! Vertese® Evening Primrose Oil capsules can support your healthy diet and lifestyle choices by providing a great natural source of GLA to support healthy skin and hormonal balance. It’s free from dairy, gluten, added sugar, salt and yeast and does not include any artificial colours, flavours or preservatives. It’s registered with the Vegan Society and Vegetarian Society approved. Evening Primrose Oil, Capsule Shell (Modified Maize Starch, Glycerol, Gelling Agent (Carrageenan), Acidity Regulator (Sodium Carbonate), Vitamin E (as DL Alpha Tocopheryl Acetate). 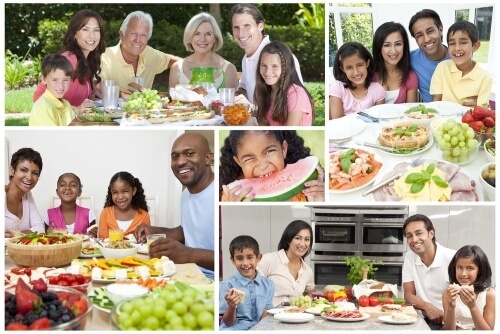 Adults and children over 12 years: Swallow 1 capsule daily, preferably with a meal. Do not use if blister is broken. If under medical supervision, consult a doctor before use. If you are taking other medication, are pregnant or planning a pregnancy consult a healthcare professional before use. People with epilepsy should consult their doctor before taking this product. For best before date see base of carton.